Labour leader Ed Miliband didn’t ultimately confound expectations; instead he appears to have confirmed the worst fears of his harshest critics. The psephology of the past four weeks, predicting neck and neck polls and a hung parliament, turned out to be wildly inaccurate; in the secrecy of the polling booth, pencil in hand, millions of so-called ‘shy Tories’ braced themselves and put a cross next to a Conservative candidate. Pundits have been waiting for weeks for the Tory surge in the polls, the surge which supposedly comes with incumbency and familiarity. And it did come, but not until the day of the election once the entire Westminster village had already bet the house on a hung parliament and prepared for weeks of arduous coalition negotiations. The Conservatives have thumped Labour and David Cameron will return to office with a mandate to push through policies far more extreme than anything seen in the past five years. That’s not to say we weren’t warned. According to a recent report by the Institute for Fiscal Studies, George Osborne’s austerity programme for the next parliament will see Britain endure a tighter tax and spending squeeze than any other major economy. £12 billion in welfare cuts will hit the most vulnerable members of society. Such has been the electoral massacre of Liberal Democrat MPs that the party’s involvement in future coalitions of any sort are in doubt. Vince Cable was deposed by the voters of west London, former leader Charles Kennedy is gone, as are Danny Alexander, David Laws and Simon Hughes. Nick Clegg clung on – just – though the scale of his party’s collapse means he will almost certainly step down in the coming days. The nearest historical precedent for Labour’s dismal performance is 1992, when Conservative Prime Minister John Major thrashed Neil Kinnock despite Labour holding a narrow poll lead right up until the election. Much like then, the apparent closeness of the race in the lead up to the vote appears to have played into Tory hands, alerting hostile sections of the electorate to the fact that Labour could actually win. Kinnock, though, never had to deal with a thriving Scottish National Party. 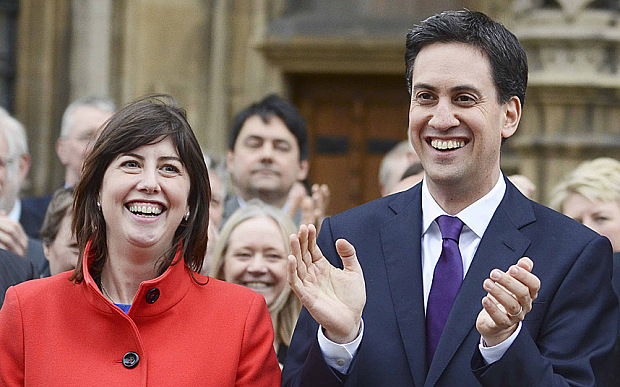 Whereas Scotland was once solid Labour territory, today the party looks set to be wiped out. Scottish Labour leader Jim Murphy is gone, and this election’s Portillo moment came when Labour Shadow Foreign Secretary and Election Coordinator Douglas Alexander lost his seat to a fresh-faced 20 year-old from the Scottish National Party. And yet it would be a mistake to claim the election was lost in Scotland. Labour has performed disastrously right across the UK due to a lacklustre campaign that was big on financial bean counting but devoid of vision. Miliband ditched New Labour but, beyond a basket of populist gimmicks he struggled to find anything with which to replace it. He paid lip service to inequality but convinced few people that he had the mettle to challenge it. He zigzagged on immigration in an attempt to please everyone and predictably pleased no-one. As for foreign policy – well, did anybody even know? Faced with a resurgent Conservative party that will now believe it has carte blanche to hack away at what’s left of the welfare state, the General Election isn’t just a calamity for the Labour party; it’s a disaster for the country. Think more food banks, bourgeoning inequality and a further deterioration of the NHS. Nick Clegg may have been the left-wing bogeyman of the last five years, but we may look back on the recent coalition as a period of civility and restraint when compared to what’s about to follow. Labour now has no future! It squandered an election when it could have had support from the SNP, It lost a lot of votes to UKIP,. Ed Milliband and co are to blame and have put hard working Labour supporters to the sword.